I have a brand new set Teryx take offs with 0 miles on them. 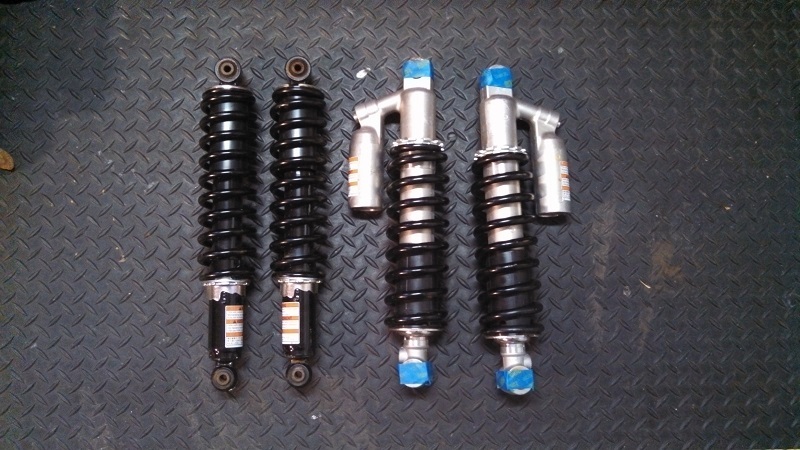 I wanted an affordable shock upgrade and bought these not knowing they would not work with the Gorilla axles I have. The bushings have already been cut down to fit the Rhino mount so that will save someone that mod, there are no other mods made to them other than the bushings, also have the modified bolts. $200 or would trade for a Koplin tilting windshield or a full set of a arm guards. Somebody else may want the whole set. Larry why wouldn't you want the whole set of shocks and pull your 2" lift off? I figure you probably put the lift on to get your rhino back up to original ride height since after sometime stock shocks start sagging is this why you did lift? Whats you ground clearance now front and rear and how much are you wanting to have? Mine was 12.5" front and 13" rear to bottom of skids with 26" OG BH on and no lift but I haven't measure since I went to 27" ITP Evo's. Kevin pulled his 2" lift off and man crazy how much better it rides now than before that lift really stiffened up his ride. I put the lift on to gain a little height. Seems like after the lift I was at 13.5 in the front and 13 in the rear. If I use Teryx shock on the rear I will have to use limit straps. I pulled my sway bar off once and first time I flexed it I snapped an axle. 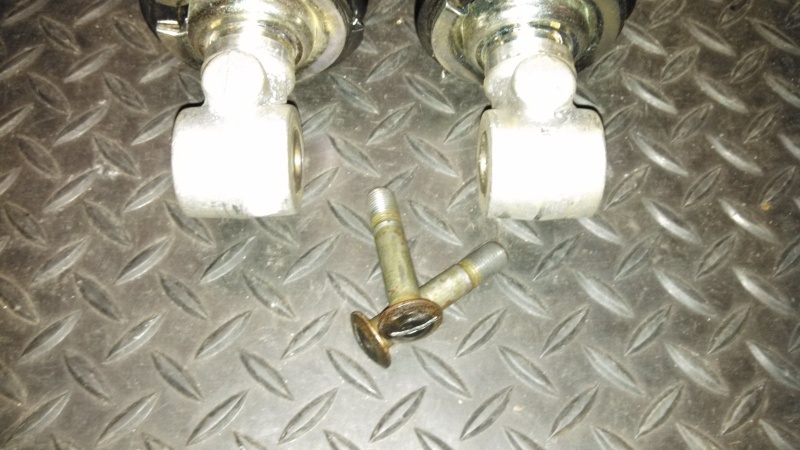 Pictures of the bushing and bolt mods. Will include bolts with shocks. And lowere price, $200 shipped free to lower 48!